Chop the onions and tomatoes into fine pieces. Take oil in a cooker , when the oil is hot add all the full garam masala in the hot oil, than add the onions and sauté till its light brown, add the ginger garlic paste, sauté for sometime, add turmeric and chilli paste and sauté for some more time, add the meat and sauté. When all the masala and meat have blended well, add as much as water required for pressure cooking and pressure cook for 5-6 whistles and 5-10minutes on low flame. When the pressure is released, cook with open lid, add salt to taste, chopped tomatoes, garam masala powder, chopped coriander leaves, curd and cook on medium flame till the oil leaves the side. 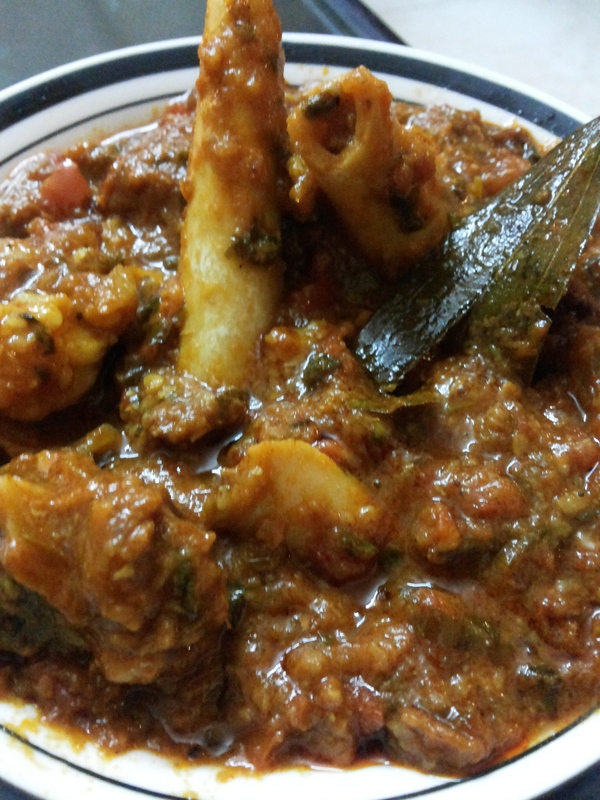 Enjoy this gravy with ghee rice, plain steamed rice, roti or paratha.